China Bowl on a Polymer base delivers style plus value. Contemporary design adds style. 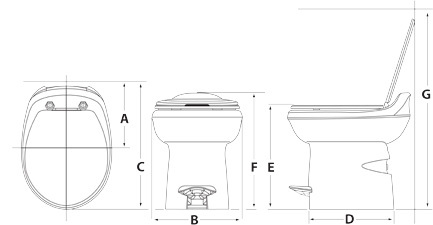 Water Saver feature uses less water than other camper toilets.Single-Pedal foot flush for easy of use. Made easy to clean by a powerful flush with 100% bowl coverage and NEW flush valve wipes clean with every flush. Taller, 17.5 inch seat height adds to your homelike comfort. A truly beautiful china-bowl replacement for any RV toilet on the road. 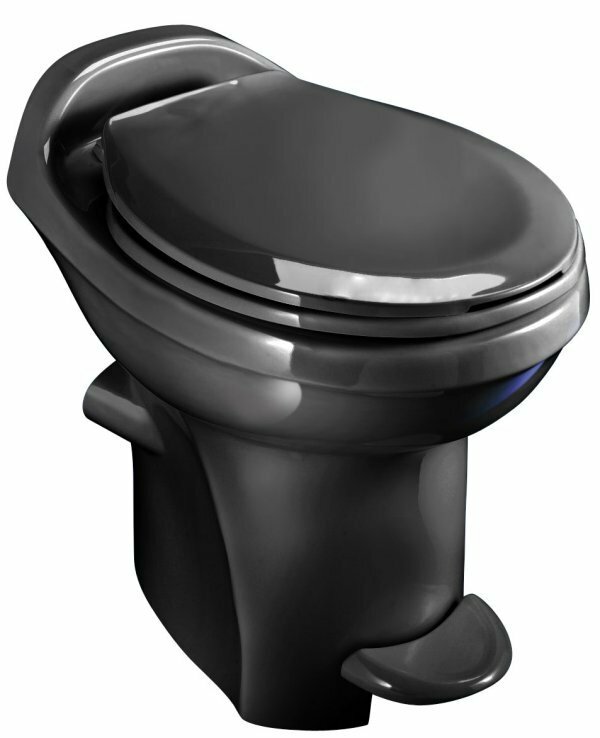 Anti-microbial seat inhibits growth of odor causing bacteria and mold! High profile seat height is 17-1/8" and the low profile seat is 13-1/4" high. Includes 1 year Thetford manufacturer warranty.